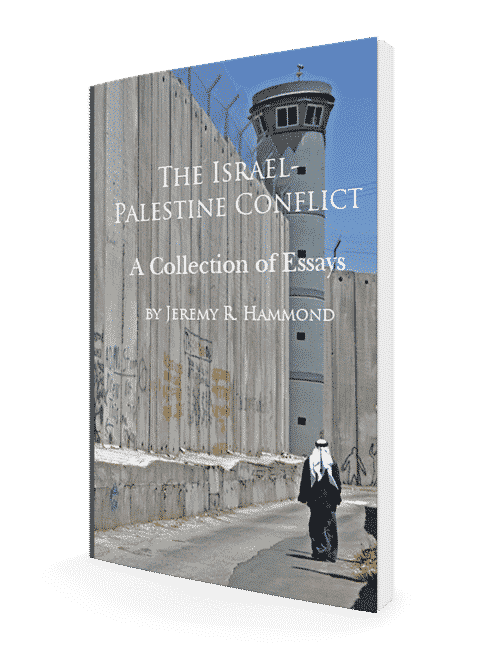 If you’re already active in the struggle for justice in the Middle East, The Israel-Palestine Conflict: A Collection of Essays will help you expand your knowledge to become an even more effective voice for peace. If you’ve never taken much interest in the Israel-Palestine conflict but would like to quickly learn to understand its root causes and the reasons for its persistence, this e-book is for you, too. Everyone can make a difference by helping to educate. It starts with educating yourself and gaining the knowledge needed to communicate effectively and with confidence. Knowledge is power, and the pen is mightier than the sword. Get this free e-book and join the fight. Why the popular perception that the conflict is too complicated to resolve is false. What the leading myths are about the conflict — and the truths they are designed to conceal. Why the US mainstream media is part of the problem and how it deceives the American public. How the UN helped spark the conflict, and how the US helps perpetuate it.